The unique Sebocool complex calming emulsion is formulated for delicate/combination skin, especially when exposed to seasonal or environmental change. Absorbed easily, it leaves an immediate calming sensation without any shine or oily after-feel. Formulated with naturally derived ingredients for powerful soothing properties. The formulation ideally designated for skin with a stressed T-zone condition. Rich with Sodium Hyaluronate , Vitamin E, Squalane and pure Jojoba Oil. It is a perfect choice as a quality day or night cream for this skin type. Directions: Apply over face and neck, morning or evening. It's recommended to put a thick layer on the problematic area.Ingredients: Water (Aqua), Caprylic/Capric Triglyceride, Alcohol, Sorbitol, Cetyl Alcohol, Glyceryl Stearate, Glycerin, Cimicifuga Racemosa Root Extract, Lonicera Caprifolium (Honeysuckle) Extract, Tocopheryl Acetate, Undecylenoyl Glycine, Sodium Stearoyl Glutamate, Lonicera Japonica (Honeysuckle) Flower Extract, Aloe Barbadensis Leaf Juice Powder, Sodium Polyacrylate, Phenethyl Alcohol, Sodium Hydroxide, Parfum (Fragrance). WARNINGS:Avoid exposure to the sun or use sun protection product that contains SPF 15 minimumPersonal care products should only be used for the purposes for which they are intended.Do not swallow, avoid contact with eyes. Keep away from children.Do not use this product if you are allergic to any of its ingredients.Avoid exposure to the sun or use sun protection product that contains SPF 15 minimum. For Problematic & Combination Skin Instant & long term effectFor all skin types 40 ml (1.35 floz. )eA Unique balance-gel complex of light herbal non oily, ideal for delicate and combination skin which balance the sebum activity. Contains fresh Aloe Vera juice and non comedogenic emollients that keep the skin smooth, soft and moisturized with matte looking .Also perfect as a moisture enhancer for dry skin types, when used under day or night cream. Directions: Apply over face and neck, morning or evening. It's recommended to put a thick layer on the problematic area.Ingredients: Water (Aqua), Aloe Barbadensis Leaf Juice, Glycerine, Caprylic/Capric Triglyceride, Phenoxyethanol, Chlorphenesin, Caprylyl Glycol, Potassium Cetyl Phosphate, HamamelisVirginiana (Witch Hazel) Extract, Glyceryl Stearate, Fragrance, Bisabolol, Carbomer, Triethanolamine, Methylisothiazolinone WARNINGS:Personal care products should only be used for the purposes for which they are intended.Do not swallow, avoid contact with eyes. Keep away from children.Do not use this product if you are allergic to any of its ingredients.Avoid exposure to the sun or use sun protection product that contains SPF 15 minimum. 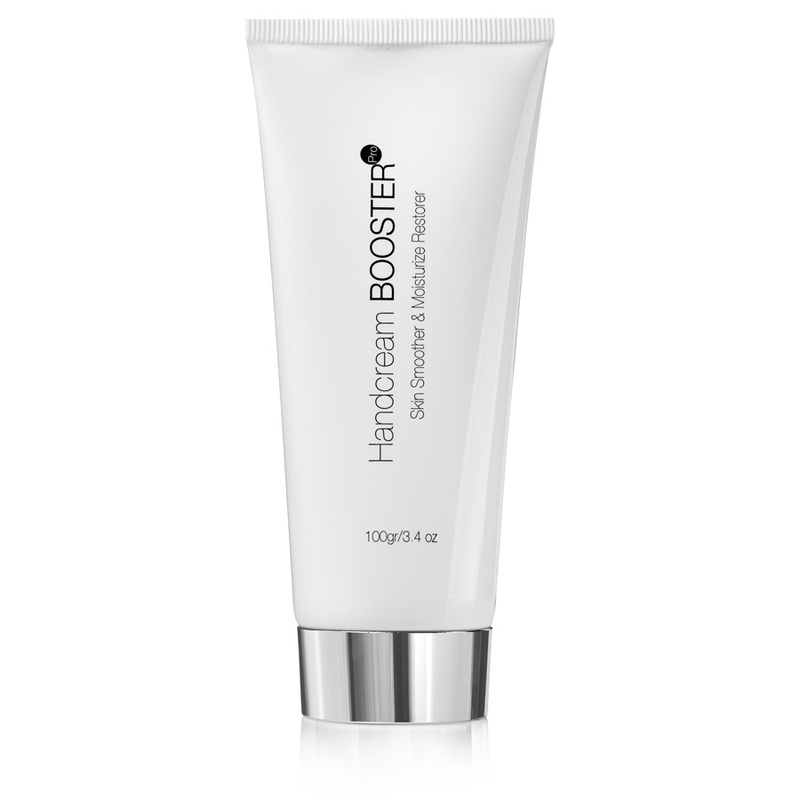 Purifying Foam Booster Pro Deep Cleanser for delicate & Combination skin150 ml (5.07 floz. )eInstant & long term effectFor all skin typesThe new Booster Pro formulation A mild purifying foam, made entirely from sustainable, natural origin ingredients. Especially designed to cleanse and gently exfoliate oily and combination skin. Contains a novel molecule that is derived from Glycine and Undecylenic Acid, to balance the skin and improve surface hygienic conditions while creamy softeners originated from Coconut oil protect the natural skin moisture. Easy to use dispenser optimizes foam quantity and minimizes detergent concentration, making this cleanser especially gentle. Efficiently cleanses without over-drying the skin, leaving it comfortably soft and smooth Directions: Lightly massage the Purifying Foam all over facial areas and fully rinse off with water. Ingredients: Water (Aqua), Sodium Lauryl Glucose Carboxylate, Lauryl Glucoside, Disodium Cocoyl Glutamate, Coco-Glucoside, GlycerylOleate, Sea Water (Maris Aqua), Camellia Sinensis Leaf Extract, Undecylenoyl Glycine, Glycerin, Sodium CocoylHydrolized Wheat Protein, Parfum (Fragrance), Benzyl Alcohol, Salicylic Acid, Sodium Hydroxide, Sorbic Acid. WARNINGS:Personal care products should only be used for the purposes for which they are intended.Do not swallow, avoid contact with eyes. Keep away from children.Do not use this product if you are allergic to any of its ingredients.Avoid exposure to the sun or use sun protection product that contains SPF 15 minimum. Enriched with retinol, olive oil and aloe vera for smoother skin and moisturize restorer. Booster Pro Foot Cream absorbs Quickly, protecting your foot from dryness and keeping the skin soft and silky. Effectively softens rough and scaled skin. A rich and unique formula that combines active, new generation ingredients which provide your skin with a younger and firmer appearance, free of wrinkles and stretch marks. Thanks to the unique BOOSTER Pro technology, the new generation ingredients RegestrilTM and DarutosideTM and vitamins A, C, and E constantly firm and smooth the skin, especially in the abdomen, thigh, and buttocks areas, which are more susceptible to cellulite and stretch marks. The cream is enriched with hyaluronic acid, makes the skin look smooth, elastic, and radiant. • From the very first use you will note an improvement in the texture and elasticity of your skin.• After a month's use your skin will look firmer and more radiant. The unique blend of shea butter, avocado oil, and rosehip oil provide your skin with intense moisture and deep nourishment. The retinol and vitamin C in the product facilitate skin renewal and provide it with a smooth and elastic appearance. The cream's special formulation is fast absorbing and does not leave a greasy feeling. It is enriched with witch hazel extract and aloe vera, which calm the skin and make it feel radiant and rejuvenated. Regular use of the product will make your skin look younger, more elastic, and more radiant. You can apply the Body Butter to a very dry or cracked skin that often appears on the knees and elbows. • From the very first use you will note an improvement in the texture and elasticity of your skin.• After a month's use your skin will look smoother and more radiant.